I'm a sucker for a beauty tool just as much now as I was before I became a parent. I've always been really into hair and beauty, even if I'm absolutely pants at it and just a simple Insta hashtag search of the latest trends puts me to absolute shame - I still love it. I wont lie though, I'm quite stubborn when it comes to trying new things, I like to sit firmly in my comfort zone. When it comes to hair tools I thought I'd found my ultimate life product in ghd's, I wasn't far wrong, they are flippin amazing and having owned a pair for eleven years now, I don't think that will change. However, there is room for more, I mean come on there is always room for more right? 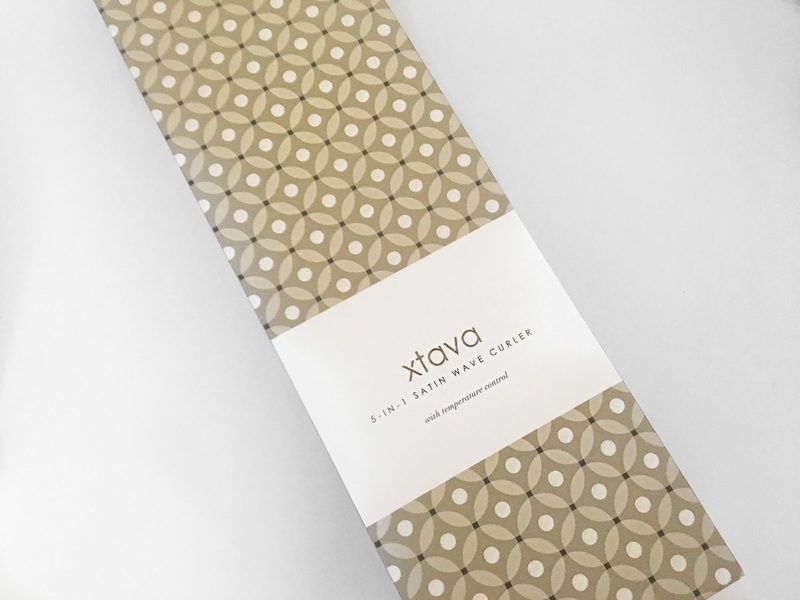 I often turn down the option to review new hair tools as they don't really suit what I want from a product, but when I caught a glimpse of the Xtava 5-in-1 curling wand, there was no way, I could say no. I was pretty intrigued, mainly because my issue with curling tongs is I can never figure out what size barrel I need, for the type of curl I want. Sure I know a tiny barrel is going to give me ringlets, and a huge barrel means loose waves, but in between that is where I'm lost. 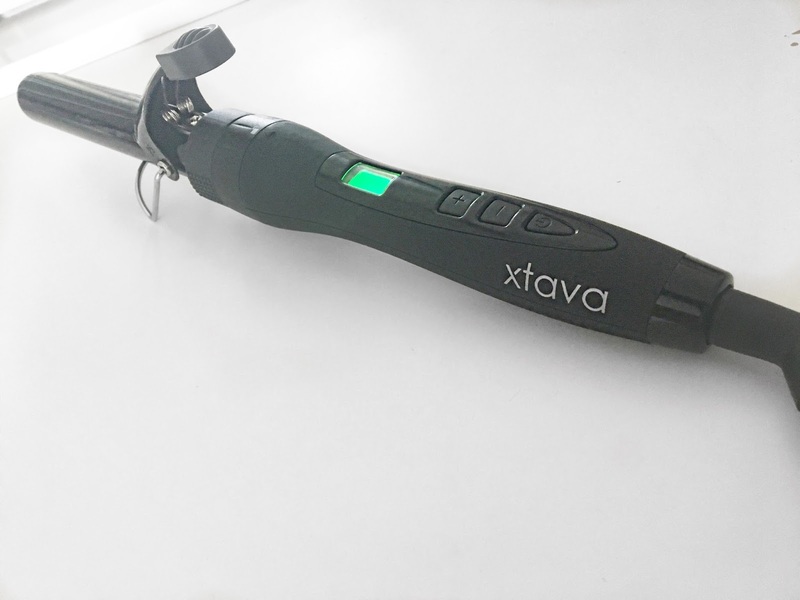 Xtava seemed to have caught onto that and are offering an all in one product with their Satin Wave wand. My first impressions were pretty damn good, a sucker for packaging the box had me at first sight. It's sleek, stylish and simple, it comes with another magnetic clasp box inside which opens to include a heat proof storage bag, a heat safe glove, the wand itself and all the attachments. Of course it has instructions too but being a beauty loving 25 year old, this girl can work her way around a curling wand without them. The wand itself can vary in heat, which again is really great as some wands can be super limiting in that aspect but the Xtava caters for all. I like mine right up at the top end so 210 degrees, but you can lower it to 180 if you want to. 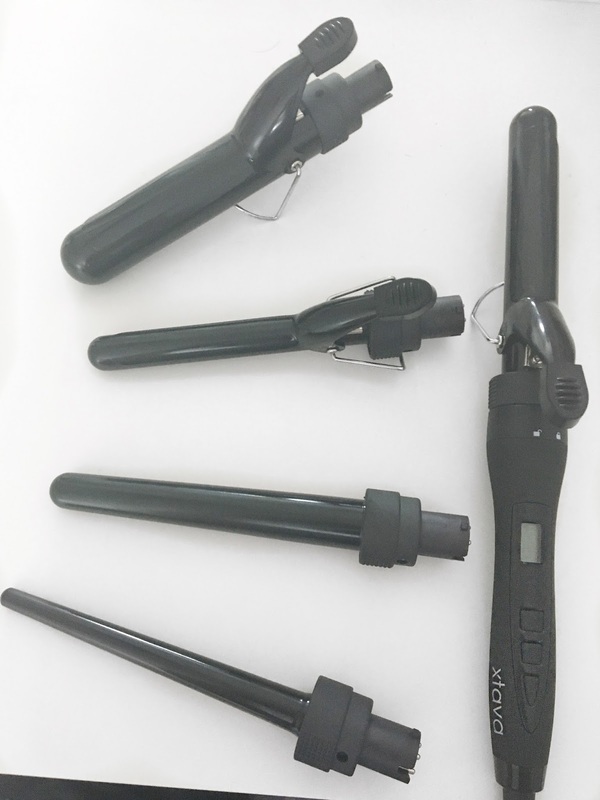 It features a swivel cord which I would say is an absolute must for curling wands, as you're bending your arms here, there and everywhere otherwise. Adding to the practicalities is a stand on the wand barrels, again, great if you've got thick hair you're going to be separating in between, you know you can pop the wand down without damaging any surfaces it's on. I love the five different detachable barrels, it's so convenient. Especially when I have a little getaway coming up in a few weeks, just me and John, and with limited luggage allowance I know I wont need to bring three different tools dependant on what hair styles I might want. The Xtava will be chucked firmly into our luggage and I know it'll see me through. It's a good investment, as it's essentially five curling wands, but all in one price. It retails at just under £50, but at the minute you can snap it up on amazon for an incredible £21. That's £4 a wand. But, if you're still unsure, have no fear as we've teamed up to give one away to one of you lucky readers. All you have to do is enter below.